Maître de Chai translates to cellar master, or the person responsible for the development and aging of wine. By extension, the humble cellar master is the person responsible for the management of the winery. Established in 2012, Maître de Chai is the personal project of Marty Winters and Alex Pitts. 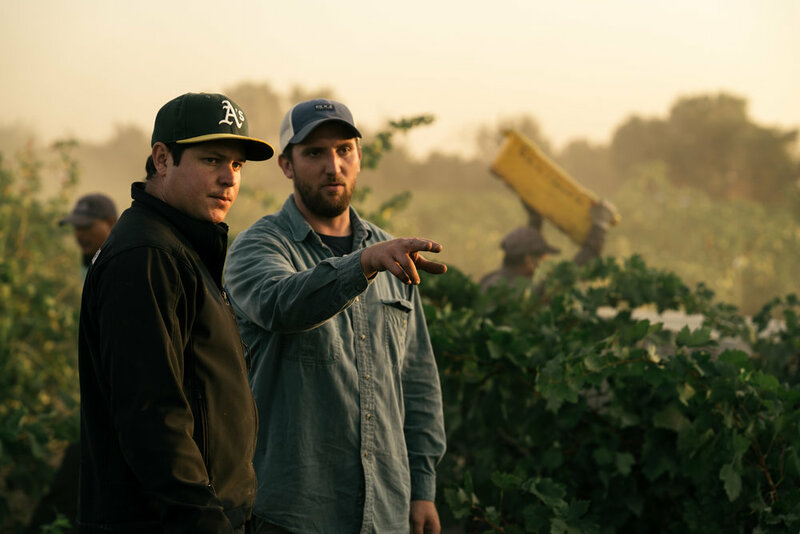 Together we look to make wines of high quality in a way that best showcases the sense of place where the grapes are grown and the personality of the vineyard. From the ground to the bottle, the character of the wine is the focus of our endeavor. We source grapes from unique and distinct single vineyards that are impeccably farmed here in California. As our name implies, we care for the wines in the cellar. We defer to nature, limiting our intervention. We taste and we wait, allowing the wines to develop and speak for the places in which they are rooted.